A suburban Philadelphia tree-trimming company whose orange trucks are a familiar sight in communities throughout the United States will pay a record fine after pleading guilty in a scheme to employ thousands of people in the country illegally. 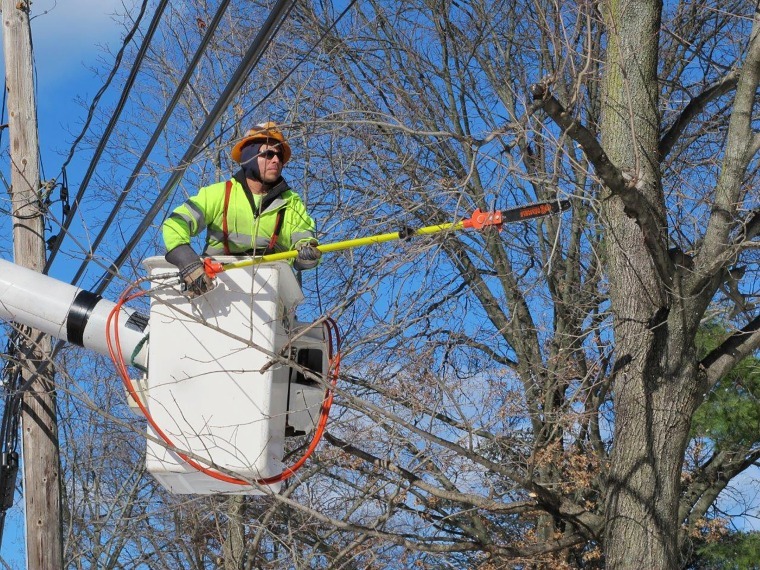 Asplundh Tree Expert Co. of Willow Grove, a utility contractor best known for pruning and removing trees around power lines, pleaded guilty Thursday to a federal criminal charge and was ordered to pay a total of $95 million. Prosecutors called it the largest monetary penalty ever levied in an immigration case. The U.S. attorney's office in Philadelphia said Asplundh employed thousands of unauthorized workers between 2010 and 2014, its top management remaining "willfully blind" while lower-level supervisors hired people they knew were in the country illegally. In some cases, the supervisors rehired workers who'd already been let go by the company due to their immigration status. "This decentralized model tacitly perpetuated fraudulent hiring practices that, in turn, maximized productivity and profit," prosecutors said in a statement. "With a motivated workforce, including unauthorized aliens willing to be relocated and respond to weather-related events around the nation, Asplundh had crews which were easily mobilized that enabled them to dominate the market." Asplundh is a 90-year-old, family-owned company that employs 30,000 workers in the U.S., Canada, Australia and New Zealand. The company, which holds many municipal, state and federal contracts, said it has reformed its hiring practices. Investigators with U.S. Immigration and Customs Enforcement began auditing Asplundh in 2009 and found that it employed unauthorized workers. Asplundh dismissed the workers, but managers hired them back, accepting bogus driver's licenses, Social Security numbers, green cards and other fraudulent forms of identification, according to court documents. Three Asplundh managers, including a vice president, already have pleaded guilty to felony charges in the case. The company said that since learning of the federal investigation in 2015, it has hired compliance specialists, implemented a photo ID system that includes facial recognition software, investigated every complaint about unauthorized workers and taken other steps to eliminate the "practices of the past." "We accept responsibility for the charges as outlined, and we apologize to our customers, associates and all other stakeholders for what has occurred," Chairman and CEO Scott Asplundh said in a statement on the company's website.